A new trailer has been released for the upcoming Western release of Shining Resonance Refrain, introducing the game’s heroes. In addition, the game now has a firm release date, and there’s not long to go. The game launches in both the Americas and Europe on July 10th, for PS4, Xbox One, PC and Nintendo Switch. As a reminder, the game is a remake of the original Japan-exclusive Shining Resonance, with the presentation touched up and all of the original game’s DLC included; and localised into English, of course. All launch run copies also include a steelbook case, dubbed the Draconic Launch Edition. Shining? Is… is that really you? 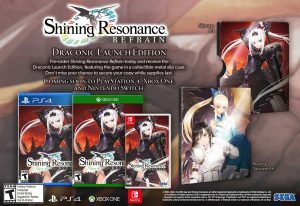 Marking the end of the series’ over 10-year absence from Western shores, SEGA has announced Shining Resonance Refrain, a remaster of the PS3 title Shining Resonance. The remaster includes all previously released DLC, as well as a new ‘Refrain Mode’ that adds brand-new content. For those wondering, Shining had a bit of an image overhaul after Camelot broke ties with SEGA – so if you’re expecting something along the lines of the classic Mega Drive Shining series, this might not be what you’re after. One slightly odd thing to note – while SEGA hasn’t localised any entries in the series for over 10 years, the fighting game spin off Blade Arcus from Shining: Battle Arena was localised, by Studio Saisenzen, and is available on Steam. The game will also be getting a launch edition with a reversible metal slipcase – this will also be available in Europe, which is always nice to see. 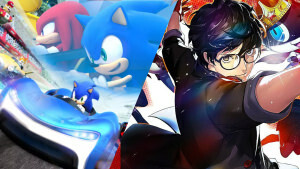 SEGA has also confirmed that the game will receive an English dub, with the option to use Japanese audio also being available.